SAP has incorporated design thinking as one of the key aspects of SAP Leonardo as an avenue to implementing new technologies, such as Internet of Things, Machine Learning, Blockchain and Advanced Analytics. 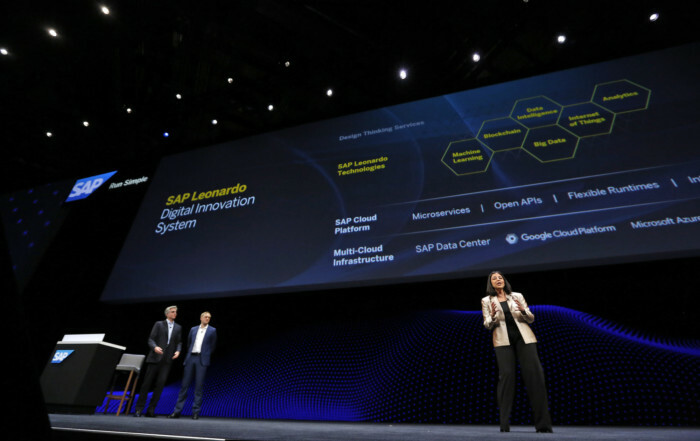 This incorporation of a new way of solving problems goes a long way to fulfill the vision of SAP Leonardo as a way to “navigate the digital renaissance” rather than just a go-to-market strategy for new technology buzzwords. But be mindful that design thinking isn’t the end of the story. Instead, it is the beginning of a journey. Design thinking is an excellent practice and mindset all about exploring problems and looking at the emergent solutions. In design thinking, every stakeholder is a designer and participates in creating the future. You don’t start with a preconceived notion of the solution, instead you start with an open mind and end up with something that is potentially unexpected and often great by successive refinement. Finding inventive solutions is vital but design thinking can only get you so far. For a truly successful outcome, you need to not only come up with an innovative solution, you need to be able to deliver it. This is where other complementary practices—lean and agile—come into play. Lean thinking originated with the Toyota Production System created by Taiichi Ono, which put Toyota in the top ranks of auto production. Lean is a cultural mindset and practice that emphasizes experimentation and evidence to improve processes and outcomes using the Plan, Do, Check, Act cycle. Agile is a mindset that originates in software development although it can be applied to other domains as well. In the late 1990s, software development had a problem: projects were failing at an alarming rate. At the time, projects were managed through waterfall project management that has distinct and successive steps for analysis, requirements development, design, development, testing and deployment. Each step had to be completed before moving on to the next one. That approach changes with an agile strategy. Agile emphasizes values, principles and behaviors that lead to successful outcomes instead of “one true way” that requires strict adherence to a linear process (see the “Manifesto for Agile Development”). Agile has proven to be a successful approach with strong adoption across many companies and industries because it enables better outcomes for complex projects. Using lean techniques to test and evaluate new solutions quickly and efficiently though prototyping and customer review goes a long way to ensuring ideas that come out of design thinking are the ones that maximize value to all stakeholders. Applying lean is an efficient way to make sure you are building the right thing. Once an idea has been evaluated using lean experimentation, agile will help you build it right. The design thinking, lean and agile mindset truly enables enterprise innovation and success—and that’s why they fit so well with the new technologies attached to SAP Leonardo. Find out how Vesta Partners Innovation Services can help you build an IoT strategy.